Matching with nature’s spring revolution, expert designers publish the most likely 2017 home decor trends and every year. While spring is approaching and nature’s changing its colors, you ought to be changing your interior home decor as well. Don’t worry, this year’s home decor trends aren’t really of a big price, and most likely to gain your admiration. Greenery, Hazelnut, Dogwood, warm red and light pink stand for common colors this year. Check this guide for full instructions about spring 2017 color trends. However, when it comes to decorations, copper specifically, and metal in general with some porcelain pieces are the most popular accessories fitting with all colors of this year. The expert designers used tropical patterns in wallpaper, curtain fabrics, and furnishings. Which you can also apply to make a stunning makeover to your house. Mirrors and wood furniture are included with the new design and 2017 home decor trends since they produce a distinct decor combination. The interest for copper was raised on Pinterest by 90%. Take a look at what you can DIY with copper! Good news! The Bohemian style and decoration are one of the easiest and likely to admire for most homeowners. Use the mix of organic materials as wood, plants with a mixture other materials of your own taste. The best thing about this style is you can mix till you get enough. Don’t hesitate to use several fabrics, fur, leather, different patterns, and plants. The acrylic decoration is the new decoration trend this spring. Get ready and don’t hesitate to spend your savings on these phenomenal trendy objects. Hitting the top 2017’s chic trends list is Marble tables and/or walls. You can see the clear unique appearance it gives to the place in the below pictures. If you don’t feel like hitting marble all over your place, just lay one wall or two of your living room with marble. I hear they’re not as expensive as marble tables, and for your information, this trend is here to stay! Giving a trustworthy advice, my investment in marble tables from 2010 is paying its efforts this spring’s 2017 home decor trends! Cork walls are hitting the top this spring right after the marble decorations. Pick your best choice and start investing your money on this year’s home decor trends now! If I were you, I would give these little cuties a chance in my house! Little did you know you can also DIY a furry chair, table, or pillowcases! 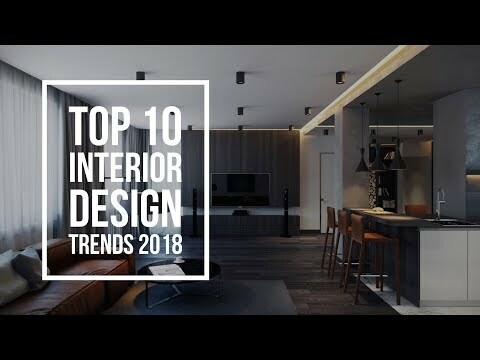 The popular style in 2017 is the New Classic interior design styles. It is the type of design that uses the precision in details and the charismatic materials which show the pieces connected to it as artwork. Embroidered fabric of velvet and silk are gaining more and more interest this year. Classical and neoclassical furniture can be the turning point of your 2017 makeover. However, natural wooden furniture pieces of oak and beech that overlap with bronze can be your ideal choices. You can incorporate more than one idea to reach a special appearance, expressing your taste and personality. You don’t have to go over budget to design your home simple ideas is the best ideas to make a great change. Submit your feedbacks in the comments below, I’ll make sure to reply on each one of them myself!